Describe your request with any details you have and we will be in touch very soon! Located in Cleveland, Tennessee, Ribbon Enterprises crafts versatile ribbons and rosettes. 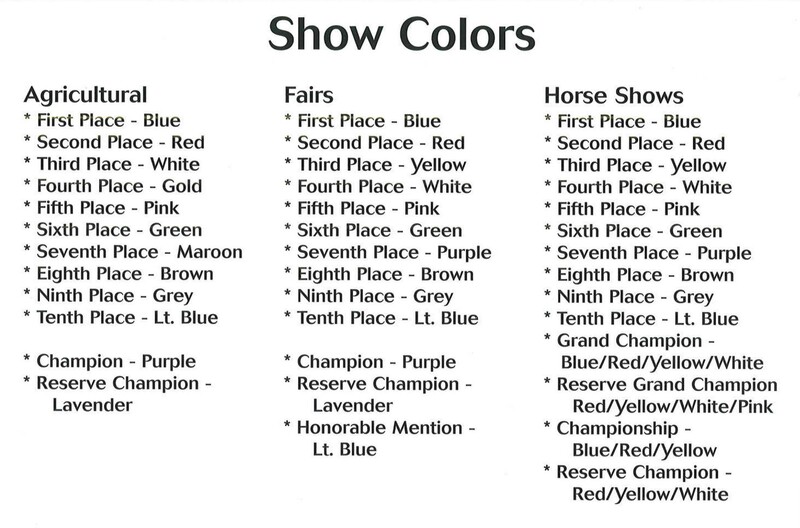 We can custom make any ribbon or rosette for schools, churches, animal shows, 4-H events and fairs. Out of all the designs we have in stock, below are our most popular. 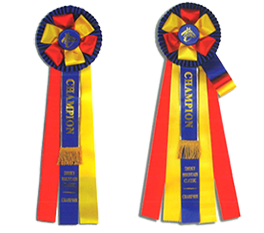 All rosettes are made from heavy-weight acetate satin ribbon. You can also call us now to request our catalog at no extra charge. Small Rosettes with Great Value! Available in one streamer or three streamer rosette. Also available in 10″ streamers. Options – Add length, fringe/gold edge to tab! 30″ streamers (34″ overall) Add 1.00 ea. 36″ streamers (40″ overall) Add 2.00 ea. Add fringe to placeyab -.50 ea. Add gold edge to tab -.25 ea. These attractive rosettes fill our customer’s needs for a spectacular and very special award rosette. These rosettes are custom made and can be ordered in any combination of colors. 1. Choose the desired rosette style (Regency, Leader, etc.) If you do not see what you like, call us! 2. Choose what you want on the center button. See stock emblems. Custom logos incur one-time charge of $30.00. We must have crisp black and white artwork. You may e-mail artwork to us using one of the following formats – pdf, jpeg, tiff, CorelDraw or any vector file format. 3. Choose streamer length. You can add inches for additional charge. 4. Please supply exact text for center streamer.